Do The Padres Have the Hardest Thrower in All of Baseball? HardballTalk – Move over Aroldis, the National League might have a new hardest thrower. As Dan Brooks pointed out, PitchFX data had Padres reliever Andrew Cashner averaging 102.2 mph with his fastball on Sunday. He threw 10 pitches in his scoreless innings out of the pen, all of them heaters. According to the data, they ranged between 100.5 and 103.3 mph. 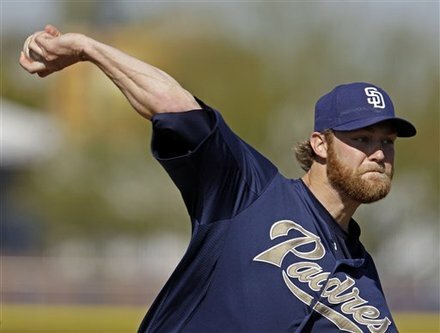 For those unfamiliar with the Cashner saga, the former first-round pick debuted with the Cubs as a reliever in 2010 and then won the fifth spot in the team’s rotation a year ago, only to hurt his shoulder in his season debut. He didn’t return until September, and he was a reliever again then. The Padres acquired him for top prospect Anthony Rizzo in the offseason and immediately announced their intention to leave him in the pen, at least for 2012. He’s expected to work as a setup man in front of closer Huston Street. According to Baseball Info Solutions data, Nationals reliever Henry Rodriguez was the game’s hardest thrower last year, averaging 98.0 mph with his fastball. That barely eclipsed Aroldis Chapman, whose fastball came in at 97.9. Chapman, though, did have more fastballs register at 100+ mph, topping Rodriguez 158-127. Cashner may well beat out both this year if he can stay healthy. Chapman may hit triple-digits once in a while as a starter, but it won’t happen as often as it did out of the pen. Padres fans remember Chapman. 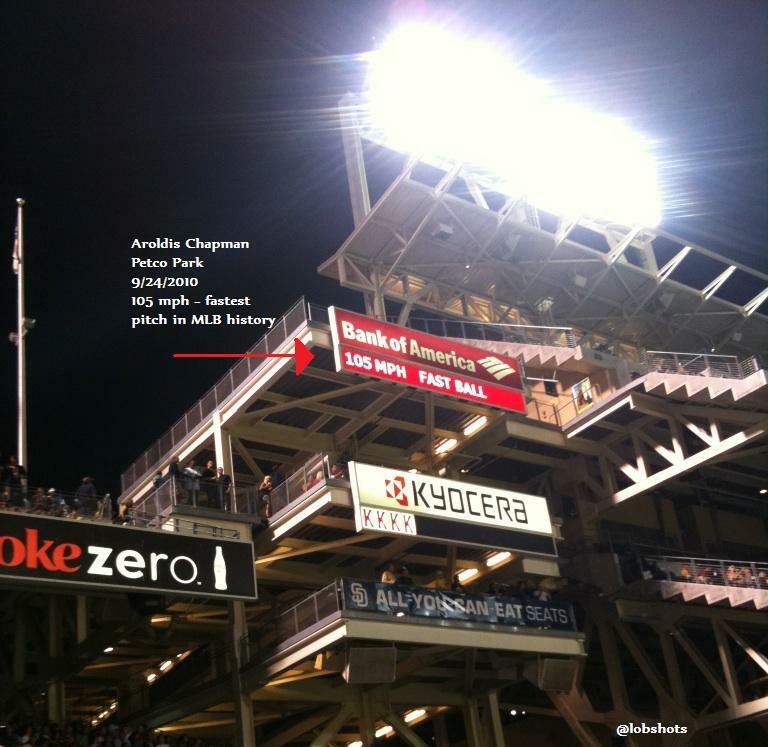 Dude hit 105 mph at Petco Park. It was crazy. Tell ya what, the difference between an already insanely fast 95 mph fastball and a 105 mph pitch is staggering. So, to think that Padres new reliever (for now) could throw, on average, harder than Chapman… is tough for my small mind to comprehend. Now, the 103 mph pitch in Spring Training for Cashner… I don’t think anybody believes that gun is accurate. I don’t, anyway. But still, even if it’s way off… like 5 mph, we’re still talking about a ton of 98 mph fastballs. Love it. Bring the heat, son!! This entry was posted in Baseball, MLB and tagged andrew cashner, andrew cashner 103 mph, Aroldis Chapman, Aroldis Chapman 105 mph, cashner, Padres, Reds. Bookmark the permalink.